FLY IN to your private,gated estate. 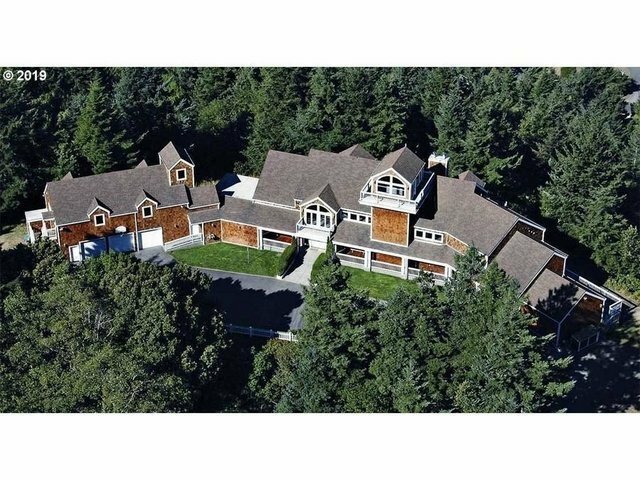 45 acre mountaintop retreat with incredible views of the Pacific Ocean and Rogue River. This 10,000 sf compound is truly one of a kind. Beautiful Cape Cod design with abundant natural light, 40'ceilings, 8 Bedrooms and 9 Baths, large gym and guest apartment with kitchen. Stable, tack room and riding area for 6 horses. Airplane hangar included with sale. A VERY RARE PROPERTY!